Area: Asikkala, Hartola, Heinola, Sysmä, Padasjoki and Pertunmaa. Northern Päijät-Häme Rural Development Association Päijänne-Leader ry is a regional developer and regional LAG operating in the northern parts of the Päijät-Häme province in Finland. Its purpose is promoting services and employment in its area. The LAG promotes cooperation between residents, enterprises and NGOs of the region and the public administration. The association’s area consists of the municipalities of Asikkala, Hartola, Sysmä, Padasjoki and Pertunmaa as well as the town of Heinola. To guideline its activities, Päijänne-Leader ry has drafted a northern Päijät-Häme rural development programme for 2014–2020, and the LAG has obtained Leader funding from the Finnish Ministry of Agriculture and Forestry and the status of a local action group (LAG) for the purpose of implementing the programme. 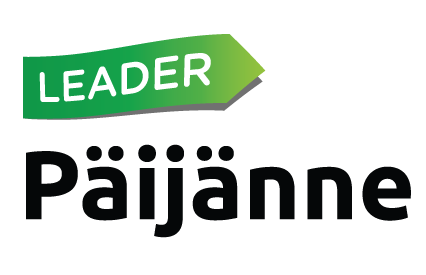 Päijänne-Leader association’s board of directors consists of 13 members who equally represent – in compliance with the Leader tripartite principle – municipalities, associations and private inhabitants of the area. Developing cooperation between local residents, NGO’s, enterprises and public sector; promoting the development of general preconditions for services and employment; and integrating active civil society and entrepreneurship into activities that maintain and develop quality of life in the LAG area. In order to reach its objectives, the LAG has drafted a customer-centred development programme. The LAG carries the responsibility for managing and monitoring of the programme. For implementation of the development programme, Päijänne-Leader has obtained partly EU funded Leader funding from the Finnish Ministry of Agriculture and Forestry and the status of a Leader group for the years 2014-2020. As a Leader group, the association is able to grant – in cooperation with the local Centre for Economic Development, Transport and the Environment – financial support for different types of rural projects and enterprises. Päijänne-Leader finances its own activities by means of normal fund-raising and with a contribution obtained through the local Centre for Economic Development, Transport and the Environment. The municipalities of the region pay 20% of all the costs of Päijänne-Leader Leader activities and administration.